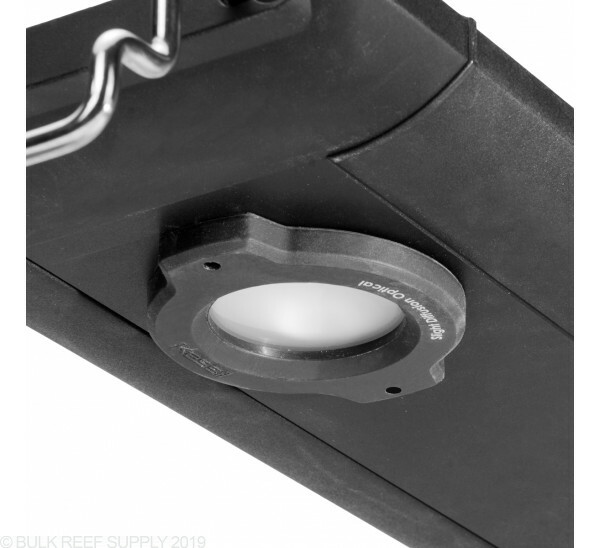 The Major Diffusion Optical Kit enhances the already great color blending capability of the AP700 while helping maintain the natural light appearance while reducing hard shadow and shimmer. 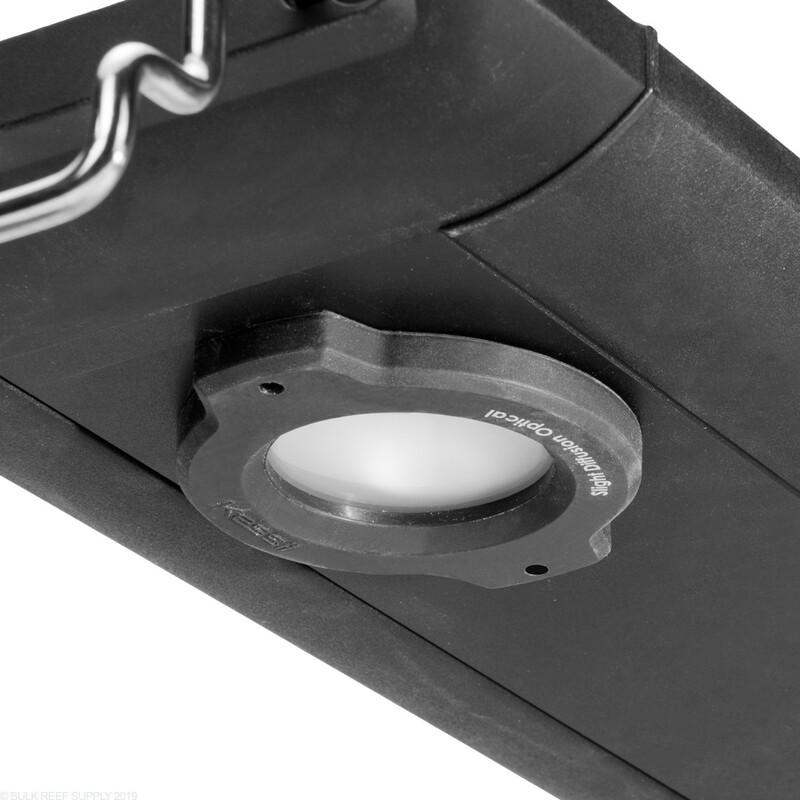 Have you ever wanted your AP700 to be a bit softer light, with less appearing shadows, almost mirroring a T5 lamp? 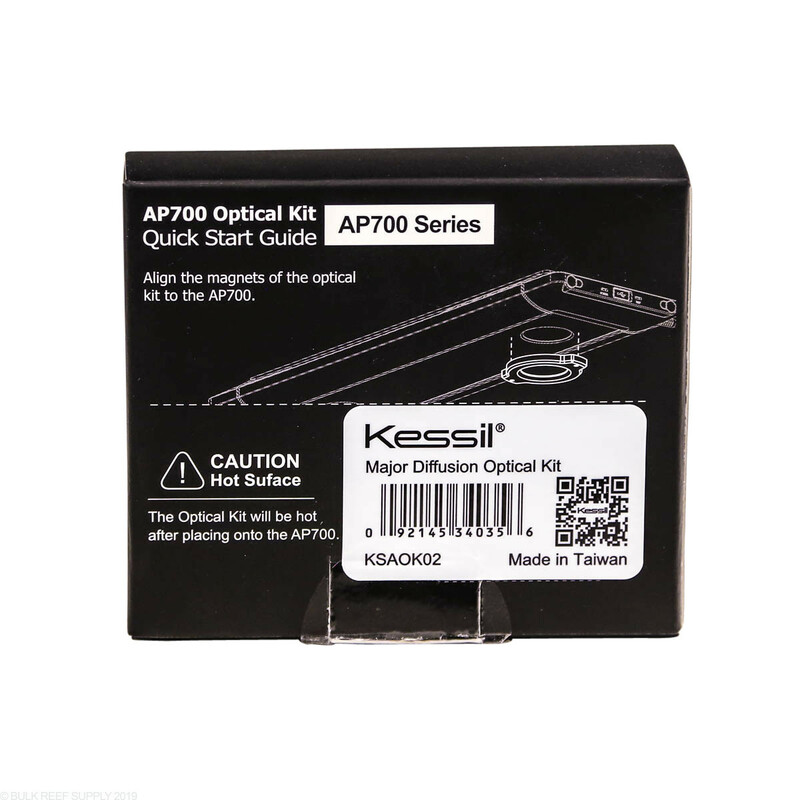 The Optical Kits are the answer. 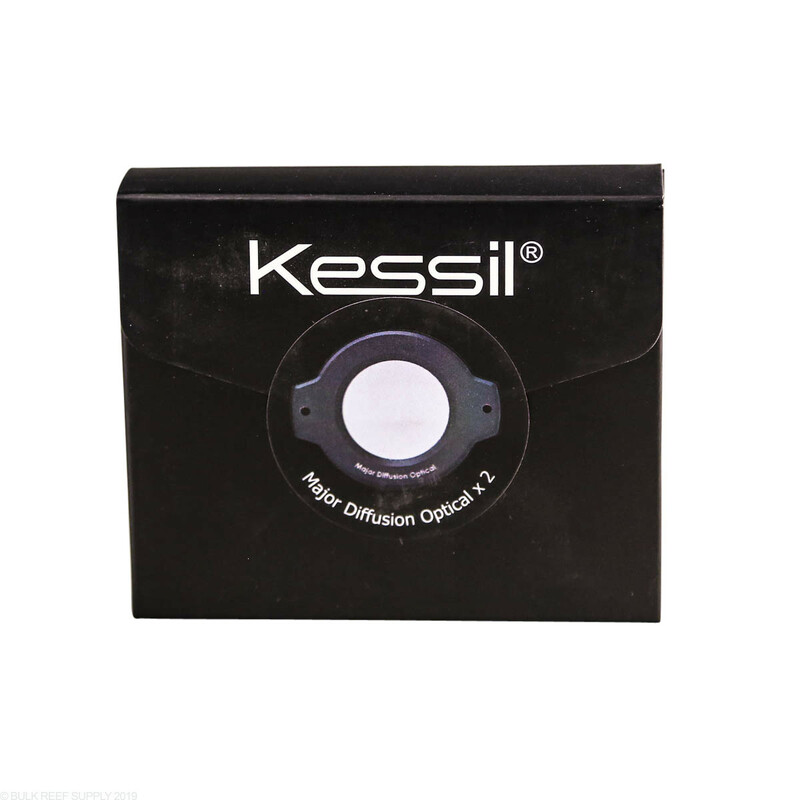 Having the ability to change the overall diffusion of the LED lights within your fixure is very valuable. Diffusion optics have been used in the lighting industry for years, it's about time we use them with aquariums. 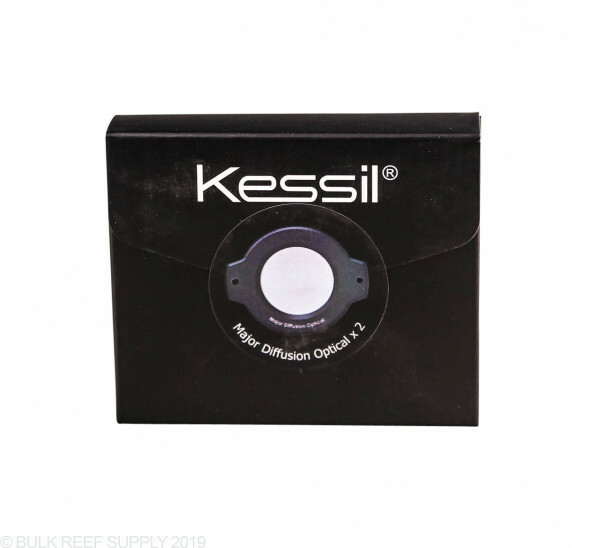 Major Diffusion Optic Kit - Best for acclimation, or shallow tanks with higher rates of turbulence on the surface looking to reduce shimmer. First they are rubber with a clear frosted rubber lens. 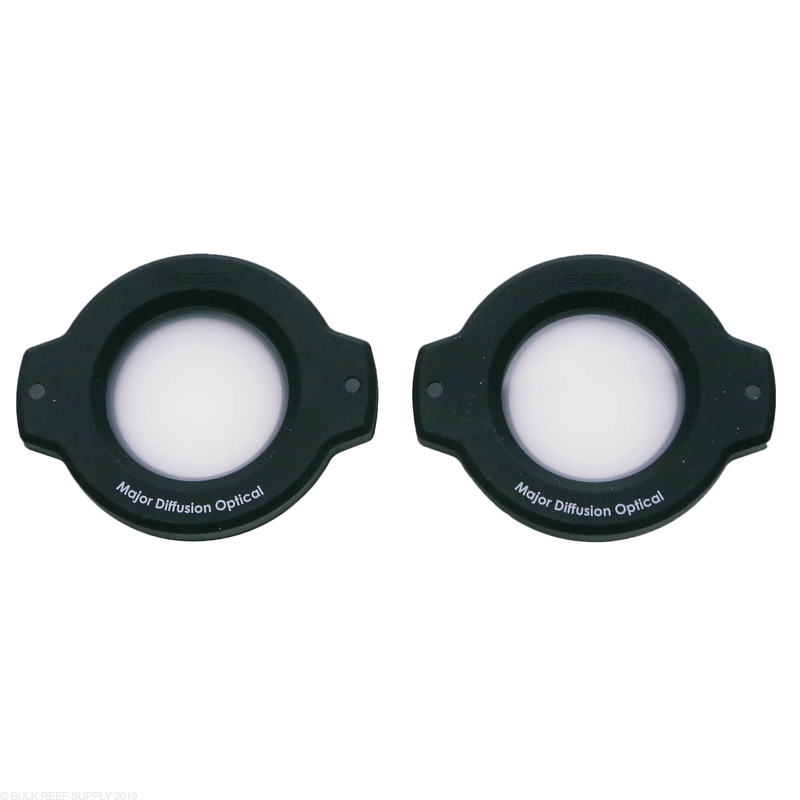 I noticed no difference in visible light with these. 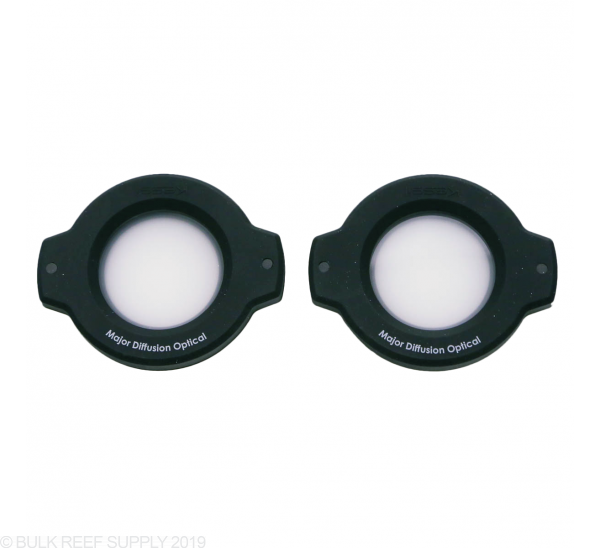 BUT, they do keep the salt off my lenses, fish were calmer with the light diffused and coral responded better with the 15% less par from them. Brightness and shimmer remained the same. Just less par. Worth every penny for my application. I have a 80 gallon deep blue frag tank with lots of surface agitation. I bought these the help reduce the hard lines of the shimmer and further blend the colors. I purchased the major diffusion kit because, honestly, these lights are so powerful I an not worried about reducing the output by 15%. The construction surprised me most. I expected a frosted glass lens encased in a hard plastic mount with magnets inside. Instead it is a plastic frosted lens surrounded by a rubber material with imbedded magnets. The result is each optical is extremely lightweight, yet slightly flimsy. It is most noticeable in the slight gap that forms between the light and the lens that lets a tiny amount of light bleed out the edge. Check out my youtube review to see what I mean. This is minor though and superbly outweighed by the effortless installation and perfect blending of the light from individual LED's. I would recommend it to anyone who wants a slightly softer shimmer and better blended light. We are talking about only an incremental improvement but I think it is worth it.